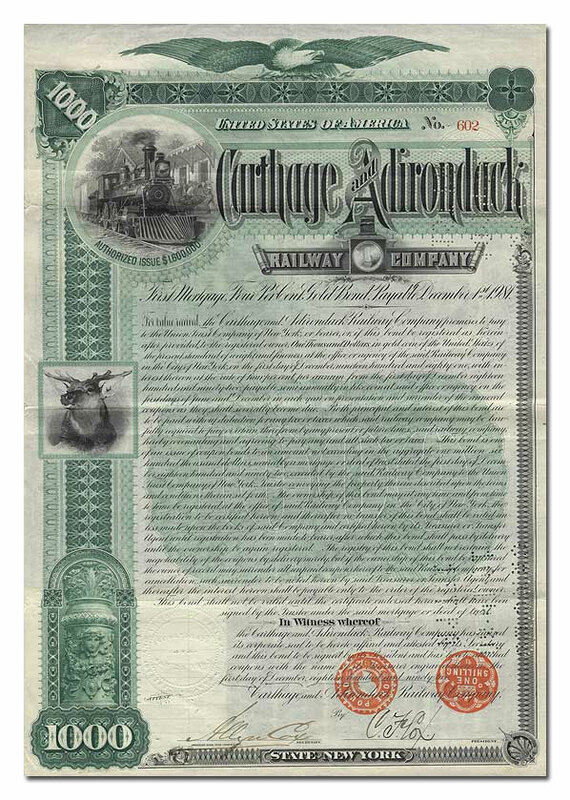 Stock certificate of the Carthage & Adirondack Railway Company. In 1883, the Carthage & Adirondack Railway was chartered to finish a line begun in 1869 as the Black River & St. Lawrence Railway, originally laid with maple wood rails as far as Natural Bridge. 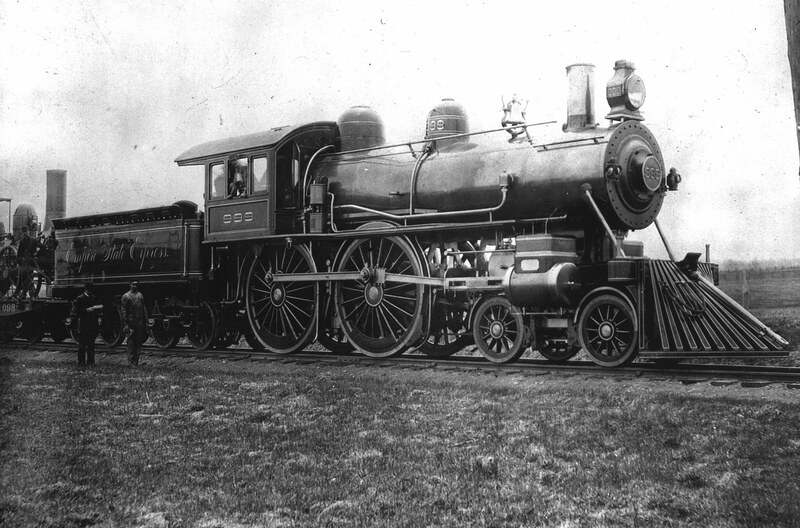 Charley Hogan and the "999"
During the 1890s there was a desire for improved transportation and greater speed. 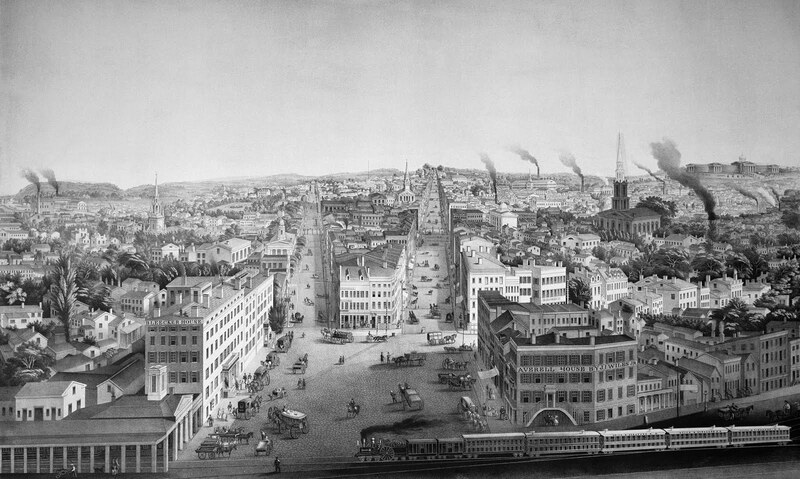 This resulted in the creation of a train named the Empire State Express which was the brainchild of George H. Daniels, General Passenger Agent of the New York Central & Hudson River. 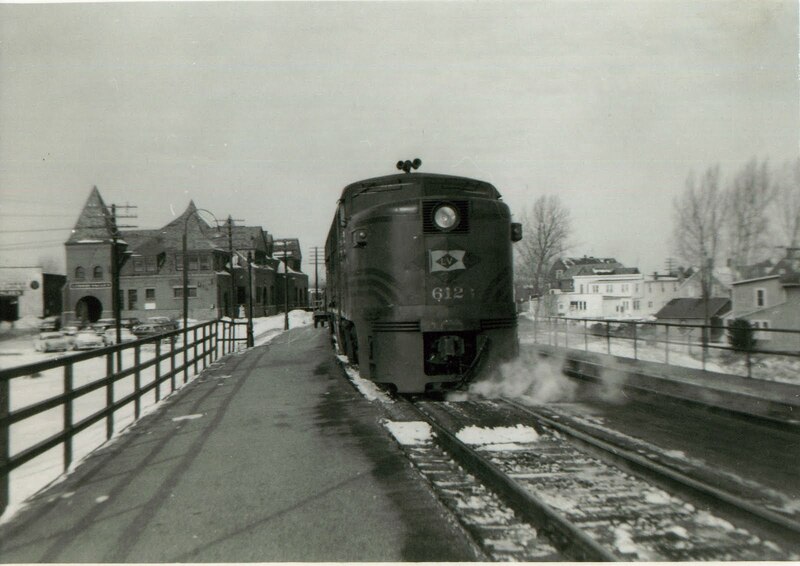 Eastbound "Black Diamond" at Geneva, March, 1959. They've torn down the old Lehigh Valley railroad overpass on Genesee Street here in Geneva. That brought back some old, less-than-glowing memories of the Lehigh Valley depot just off Genesee. My family lived in Seneca Falls and my maiden aunt lived in Dover, Del. She and my mother grew up in Yates County and we still had family in Bellona, where my grandfather and my uncle and his wife lived. 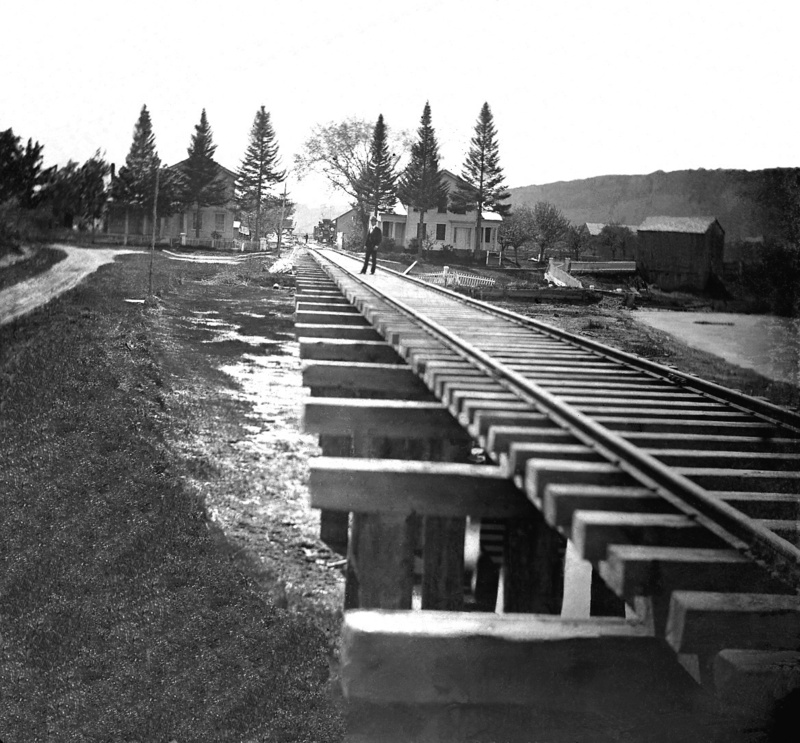 This photo, taken in 1872, shows the recently completed Auburn Branch of the New York & Oswego Midland Railroad through DeRuyter. The line was in operation only seven years. Courtesy DeRuyter Historical Society/Bruce Tracy. Wandering over hill and dale for 28 1/2 miles between DeRuyter and Norwich, N.Y. is the old roadbed of the so-called "Auburn Branch" of the New York & Oswego Midland, which originally ran about another 60 miles to Scipio Center, south of Auburn. From DeRuyter west ultimately was sold to the Lehigh Valley. 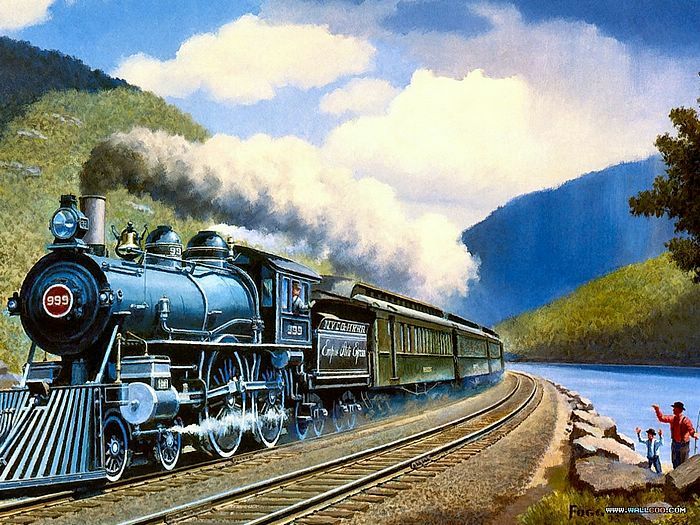 Howard Fogg painting of the New York Central's "Empire State Express" speeding through the Mohawk Valley in the 1890s. 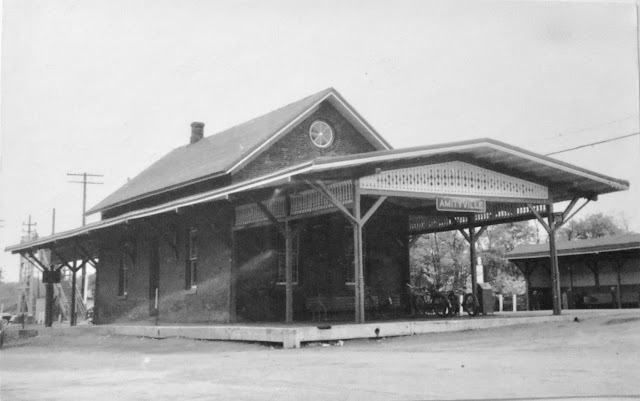 Analysis of Passenger Train Performance Between New York City* and Buffalo via the Delaware, Lackawanna & Western, Erie, Lehigh Valley, New York Central and West Shore Railroads.